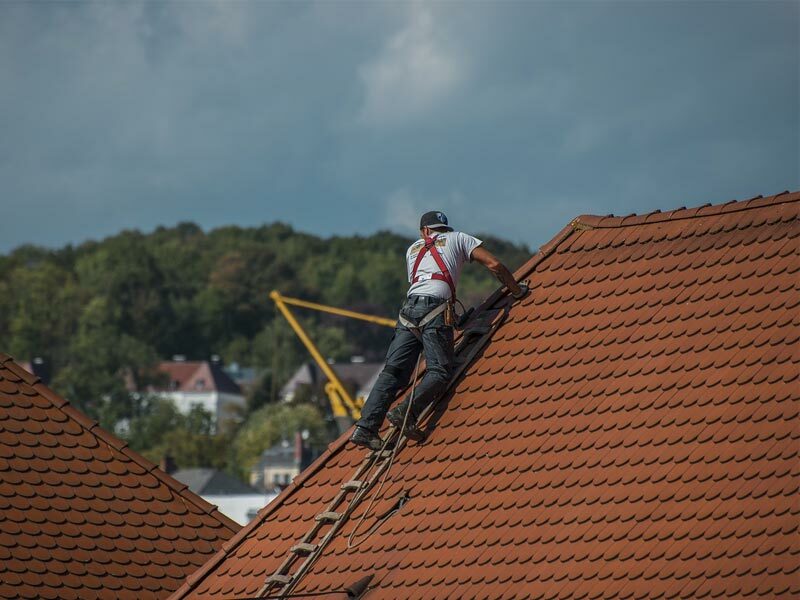 Roofing Repairs | San Diego Roofing Contractors - Jensen Roofing Even the smallest amount of moisture in the roof can result in a big problem and the roof leaking. Most often this is caused by flashing details that were not fastened properly or incorrect seams when the roof was first installed. Any break interruption in the membrane can result in a leak. The membrane and fastenings may also deteriorate over time resulting in leaks in older roofs. 2. Water Pooling A roof that has been poorly installed can result in pools of water forming instead of it running or draining off the roof efficiently. This can also result from repairs that were made on the roof not being implemented correctly. The pooling water can occur between the membrane and tiles, on the roof tiles or covering or even under the membrane which can result in leaks occurring. Even with flat roofs, a slight gradient or drainage system is necessary in order to effectively allow water to run away and prevent pooling. Water puddles or pools on the roof can have negative consequences for the roof as well as the structure. 3. Loose, Cracked And Broken Tiles Loose tiles are hazardous and can fall from the roof at any time. Once again, this is commonly due to poor installation or repairs that were made to the roof. It can also occur due to the roof being walked on and regular wear and tear from exposure to the elements. Roof tiles are exposed to all the elements of Mother Nature at their full strength including UV rays, water and wind which are all destructive forces. Once tiles become loose or cracked, they should be professionally replaced. It may also be a good idea to consider replacing the entire roof as a few loose tiles or cracked tiles may be due to age and exposure and a simple repair may not be sufficient. 4. Shrinkage Pulling at the flashings is a clear sign of shrinkage after installation. This is normally due to the membrane not being cured properly. You may also notice the membrane pulling away from edges which is another sign of shrinkage. 5. Blistering Blistering is another common problem that occurs with roofing and there are some myths and misconceptions regarding this problem. The problem does not occur because of exposure to the sun but rather because bitumen was not heated to the proper temperature during installation. While it is not always worth the cost of fixing blisters, it can result in the roof deteriorating and ageing much faster. To avoid these and other common roofing problems it is important to have it professionally installed and inspected after installation. If any problems are found during an inspection, it is important to address these issues sooner rather than later.